It can be difficult to achieve complex yet flexible and responsive grid layouts. Various techniques have evolved over the years but most, such as faux columns, were hacks rather than robust design options. Most of these hacks were built on top of the CSS float property. When the flexbox layout module was introduced to the list of display property options, a new world of options became possible. Now you can not only define the direction the container is going to stack the items but also wrap, align (items and lines), order, shrink, etc. them in a container. With all that power in their hands, developers started to create their own combinations of rules for all sorts of layouts. Flexibility reigned. However, flexbox was designed to deal with one-dimensional layouts: either a row or a column. CSS Grid Layout, in contrast, permitted two-dimensional row and column layouts. It’s difficult to create a website that supports every user’s browser. Two options are commonly used — “graceful degradation” and “progressive enhancement”. Graceful degradation ensures a website continues to function even when something breaks. For example, float: right may fail if an element is too big for the screen but it wraps to the next empty space so the block remains usable. Progressive enhancement takes the opposite approach. The page starts with minimum functionality and features are added when they’re supported. The example above could use a CSS media query to verify the screen is a minimum width before allowing an element to float. When it comes to grid layouts, each browser determines the appearance of its components. In this article, you’re going to understand with some real samples how to evolve some web contents from an old strategy to a new one. More specifically, how to progressively enhance the model from a float-based layout to flexbox, and then CSS Grid, respectively. It’s a small, common example of grid disposition you can have in a webpage: two divs sharing the same container (body). See the Pen Float Layout Example by SitePoint (@SitePoint) on CodePen. depending on the content you have inside the elements (along with each inner container’s CSS properties), the browser may wrap elements to the next free line and break the layout. However, using display: table becomes less convenient as your layouts get more complex, and it can get messy to work with in responsive layouts. display: table works best with small sections of a page, rather than major layout sections. The flexible box module, known by the name of flexbox, is a more recent layout model capable of distributing space and powerfully aligning items of a container (the box) in a one-dimensional way. Its one dimensional nature, though, does not impede you to design multidimensional layouts (rows and columns), but flexbox may not result in reliable row stacking. source independence — meaning that the order of the items doesn’t matter, they just need to be inside the box. See the Pen Flexbox Layout Example by SitePoint (@SitePoint) on CodePen. The CSS Grid layout follows up closely the flexbox one, the big difference being that it works in two dimensions. That is, if you need to design a layout that deals with both rows and columns, the grid layout will most likely suit better. It has the same aligning and space distribution factors of flexbox, but now acting directly to the two dimensions of your container (box). In comparison to the float property, it has even more advantages: easy elements disposition, alignment, row/column/cell control, etc. 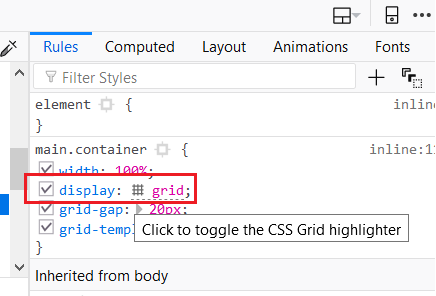 Working with CSS Grid is as simple as changing the display property of your container element to grid. Inside the container, you can also create columns and rows with divs, for example. Let’s consider an example of an HTML page with four inner container divs. The property grid-template-columns defines the same configuration you had before: two grid columns occupying 24% and 75% of the whole container width, respectively. The grid-template-rows do the same, applying 200px and 300px as height for the first and second rows, respectively. Use the properties grid-column-gap and grid-row-gap to allocate space around the grid elements. For the div of class div1, you’re aligning and justifying it at the end of the grid cell. The properties align-self and justify-self are valid for all flex items you have in the layout, including, in this case, the grid cells. div4 was set only the centered alignment, for you to check the difference between both. See the Pen Grid Layout Example by SitePoint (@SitePoint) on CodePen. 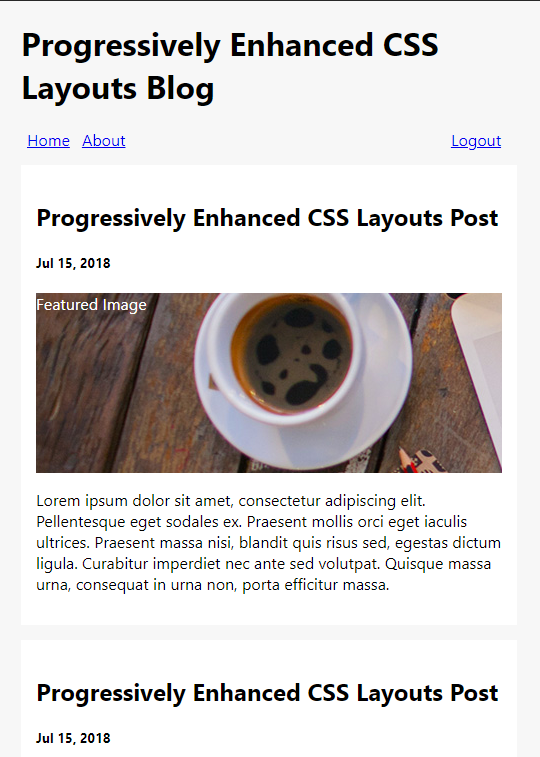 In this next example, we’re going to use a blog page as a reference to upgrade from a totally float-based page to a CSS Grid layout, exploring the way the old layout can be completely transformed to a layout that embraces both flexbox and grid. See the Pen Blog Layout with Float by SitePoint (@SitePoint) on CodePen. Note that the HTML structure is common for anyone already familiar with semantic tags: a div (the container) containing all the inner elements that’ll compose the final layout based on who’s floating who. 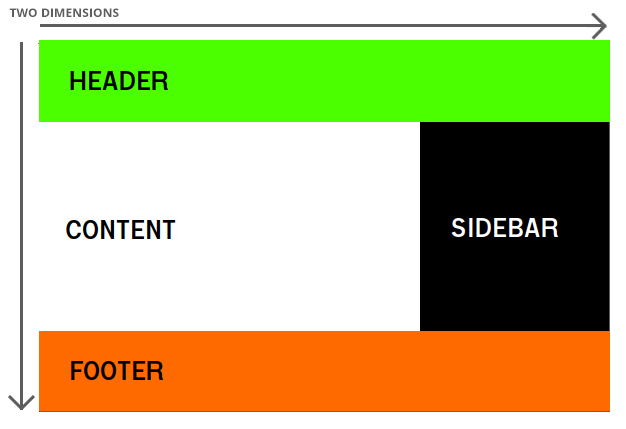 The end of the CSS brings an @media rule that’ll break the sidebar to the next column when the page is opened in small screen devices. The end of the HTML brings a simple footer with some simple text. Note: the beginning of the HTML includes the HTML5 Shiv script in order to enable the use of HTML5 sectioning elements in legacy Internet Explorer. The use of the flexbox property automatically disables the float for newer browsers. However, since we preserved the old CSS configurations for the float property, the float will still apply when a browser doesn’t support flexbox. At the same time, the display: flex was added in order to lay out the menu using flexbox along with the margin-left: auto to the last menu item. This will ensure that this item will be pushed to the right of the layout, separating them into distinct groups. Here, we’re dividing the whole container space into three rows and three columns. The names of the areas repeated alongside the definition say how much space each of them will occupy vertically and horizontally. Just as with flexbox, grid items automatically disable float declarations in browsers which support CSS Grid. The rest of the properties remain the same (the float will still apply when a browser doesn’t support grid). See the Pen Blog Layout with CSS Grid Areas by SitePoint (@SitePoint) on CodePen. The grid-template property is also very useful when we need to define a template that’ll follow a pattern for our grid’s definitions. Here, we’re basically saying that the size of the columns is determined by the size of the container and the size of the content of the items in the column. See the Pen Blog Layout with CSS Grid Templates by SitePoint (@SitePoint) on CodePen. You can go now and test it in different browser versions as well as your mobile phone to check how the pages are progressively enhanced. For more information about CSS Grid, refer to SitePoint’s CSS Grid Layout Introduction, and also check out SitePoint’s CSS Flexbox Introduction. Mozilla has also provided a great article about CSS Grid Layout and Progressive Enhancement that will certainly add a lot. Good studies!